Balzac, Honore de (1799-1850) Le Pere Goriot. Paris: Imprimerie Nationale, Andre Sauret, 1952. 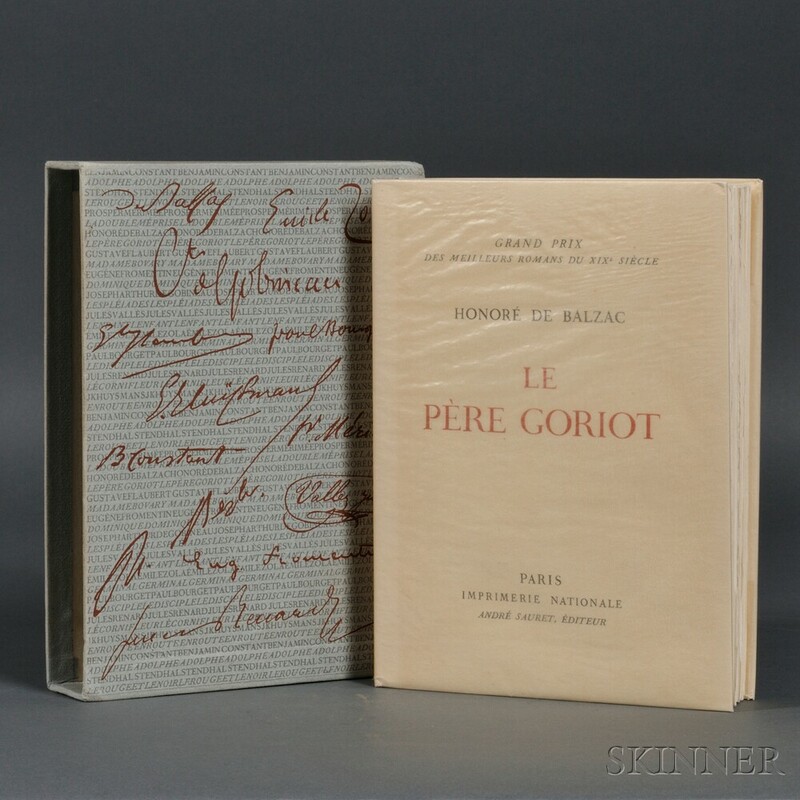 Quarto, copy number 1,061 of 3,000, frontispiece lithographic portrait of Balzac by Picasso; in publisher's wrappers, very good with glassine jacket and the original slip case, 6 1/2 x 9 in.